Children with additional needs, particularly autism, can often feel overwhelmed when processing information. Many of those with an ASD (Autistic Spectrum Disorder) are visual learners. Presenting information visually enhances the ability of those with ASD to process information. The current visual timeline solutions require juggling bits of paper, which can be expensive, time consuming, and incredibly difficult to implement should there be a last minute change in plan. The concept for picturepath was inspired by founder Richard Nurse’s son, Freddie. 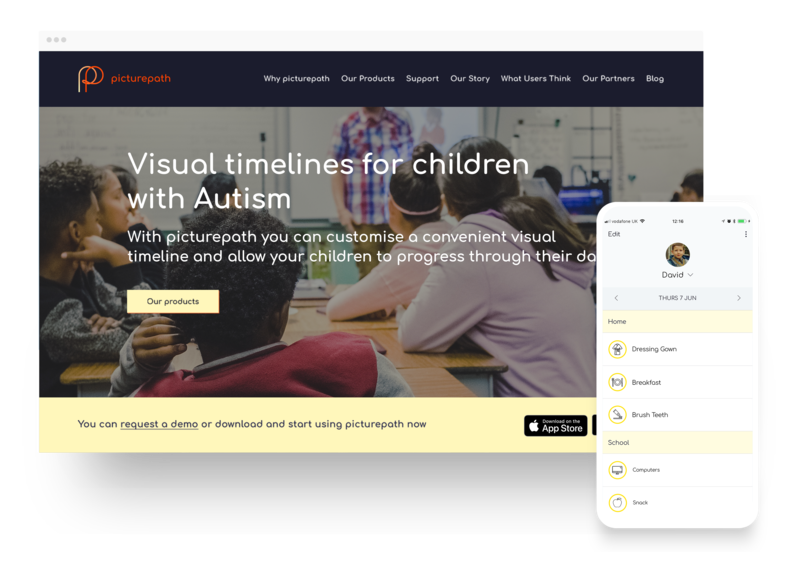 Picturepath is a digital visual timeline that shares a child’s daily routine between parents, pupils and their teachers. 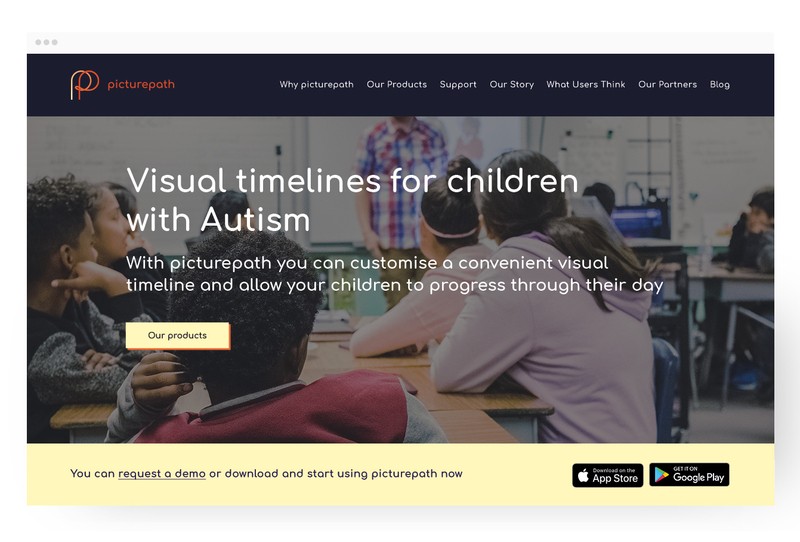 The picturepath app allows teachers and parents to customise their child’s visual timelines and communicate through the app, keeping everyone in the loop and ensuring each child is prepared for the day ahead. 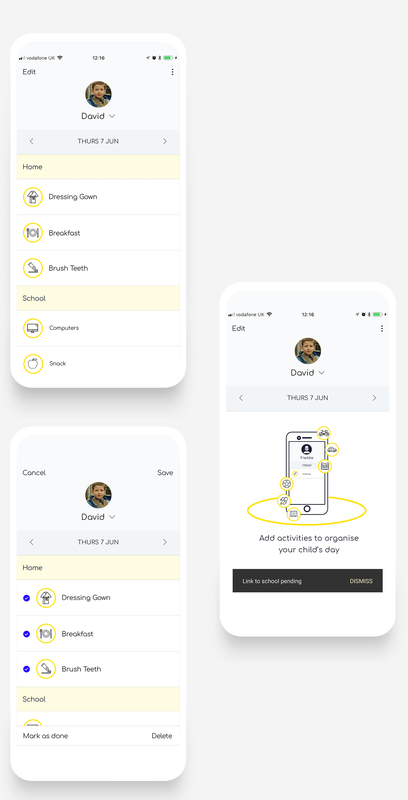 Working with a guidance panel of SENCOs, teachers and parents of children with autism, we designed, built and tested two apps (one for mobile, one for the web) allowing us to quickly identify how we could make the day-to-day lives of the children in their care easier. The insights of our users drove our development towards making the apps simple and useful. This included linking parent and teacher accounts, giving them shared access to the child's timeline, providing them with a seamless view of their day.